Brass & Nickel Beds | Brass Beds | Wrought Iron & Brass Bed Co.
From traditional Victorian to French Renaissance. Our range of Brass and Nickel Beds offer a collaboration of designs and styles that will never fade with age. Making them the perfect centrepiece for your bedroom. All our Brass & Nickel Beds come with assembly included, in the room of your choice and we shall even remove all the packaging. 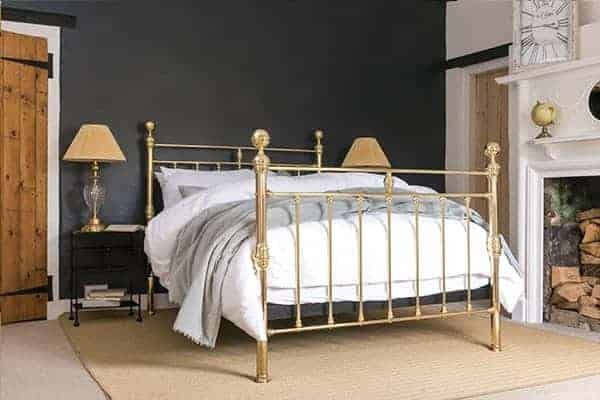 Based on our ever popular George iron and brass bedstead. Arthur offers a Brass bed, without the maintenance. Based on a late Edwardian design. Bronte also brings that Art Deco feel, to our Brass and Nickel bed range. Based on our popular Bronte bedstead. Emily offers a sweeping curve and a touch of softness, to a geometric dominated design. A customer favourite for many years. Rosie is based on an original Victorian Brass bed design. Our only four poster iron bed. Amelia is based on our ever popular Bronte bedstead, with the added touch of towering legs. Based on a late Edwardian iron bed design. Tara features hand-sand casted iron feet and finials. Our brass beds are absolutely divine and are sure to impress. By using wrought iron cores and brass plating, our beds come with the best of both worlds. 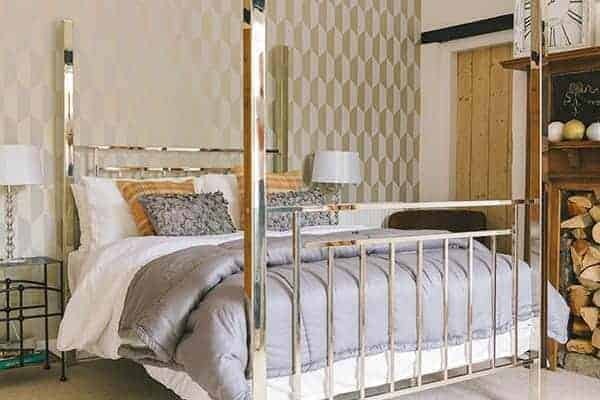 We’ve put a lot of thought into our iron and brass beds, perfectly balancing beauty and functionality. Our nickel designs are also breath-taking and their elegant designs are certain to be the perfect accent for your room. 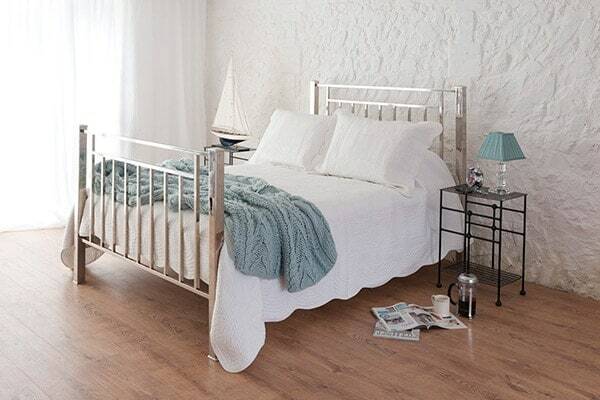 Bringing modern rustic design features to your bedroom, our nickel beds are the centrepiece you’ve been looking for. Our nickel and brass designs are available in a range of sizes and are fully handcrafted. 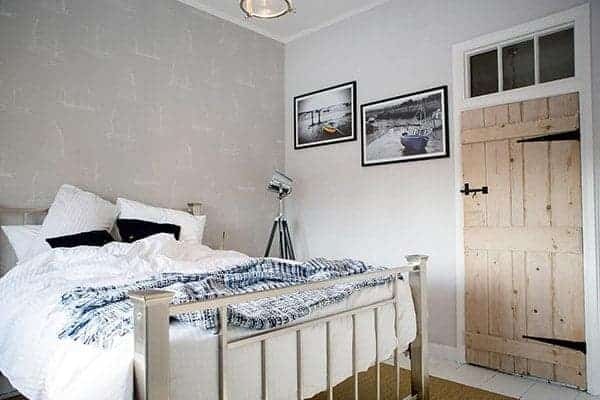 Made from wrought iron, and plated in either nickel or brass, you can be sure that your bed will stand the test of time and look opulent while doing it. All of our materials are sourced from Great Britain, because we know that local is best. If you have your eye on one of our designs but think “it would be perfect if only it had…”, then look no further. We offer an unparalleled level of customisation because we handcraft our beds to order. We can offer a whole range of different options including colour changes, powered finishes and more. Discover our popular iron bed range and you’ll find a variety of unique styles and bedsteads that could really add character to your bedroom. We offer a range of finishes and added extras such as mattresses , pillows and bedding that make for a great night’s sleep. 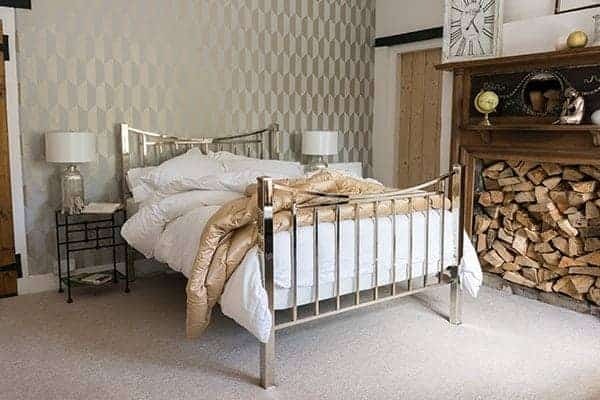 If you have any questions about our range of hand crafted iron beds, call our showroom on 01485 542516 or email to showroom@wroughtironandbrassbed.co.uk.